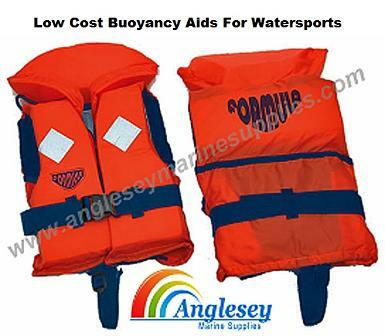 We supply a wide range of Lifejackets, lifepreservers etc. 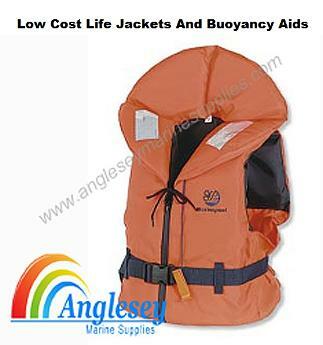 Our budget range of boating lifejackets ensure that everyone can afford such a necessity. They are a 100 newton high visable lifejacket complete with straps and a whistle. Our premium range is the 150 newton parmaris lifepreservers automatic or manual with or without an harness, fitted with 316 stainless steel buckles. 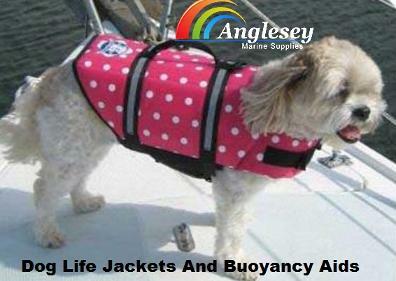 Make sure your pet is safe to with our dog lifejackets to suit all size of dogs and breeds. For additional safety especially at night or in bad weather we supply an emergency light that is automatic when immersed in water. Be seen in an emergency. 100 Newton Budget low cost life jackets, fitted with crutch strap, to prevent riding up. Retro-reflective tape, for night time recognition , a fold back collar and whistle. Designed with a self righting ability to assist distressed sailors turn safely on their backs. Formula Buoyancy aid for all water sports. Practical and very comfortable for occasions when slightly more security is needed. The buoyancy aid is fitted with quick release buckle and two ties. 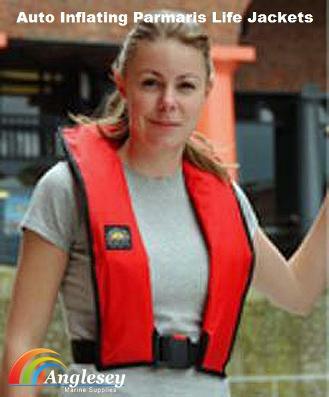 Water power boat racing formula racing life jackets manufactured to racing specifications. Fastening with full open zip with two security belts with safety quick release buckles and groin strings. 100-120 newton. 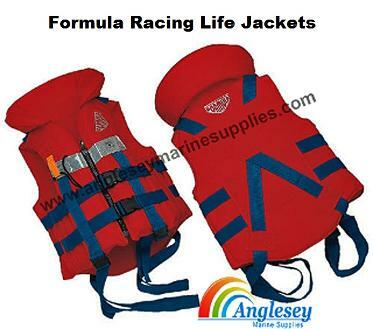 The formula racing life jackets are Available in 3 different sizes. Made in the U.K. these fully CE approved Auto inflating life jackets have a Minimum of 150 Newtons of buoyancy and comes in a soft easy to wear cover with a 3d comfort neck, complete with a closed bottom edge and high specification edge binding. The auto inflating life jackets have a choice of operating systems either auto or manual and with or without an harness. The life jackets Use lightweight, high strength self locking buckles or 316 marine grade stainless steel closures and fittings on the harness model. 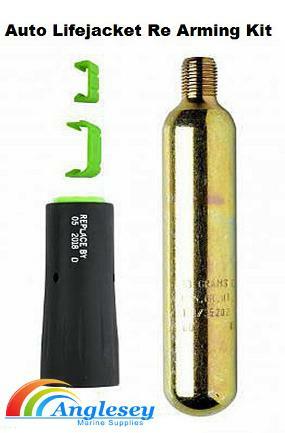 The auto inflating life jacket Comes with disposable gas cylinder that is easily rearmed and repacked after use. Available in either Navy Blue or Red. 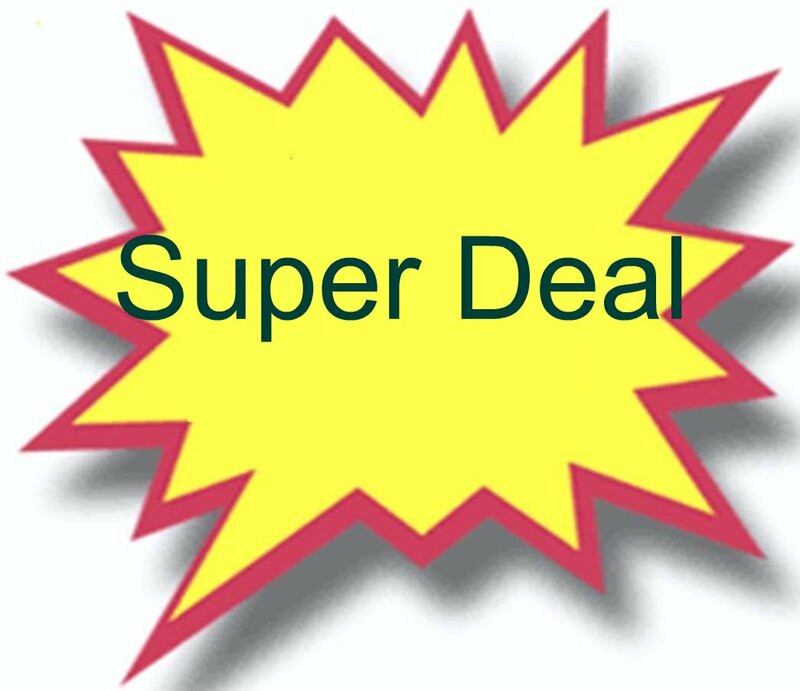 Auto inflating Life Jacket Pre arming kit, life jacket pre arming kit canister for both our manual life jackets and our auto inflating life jacket. 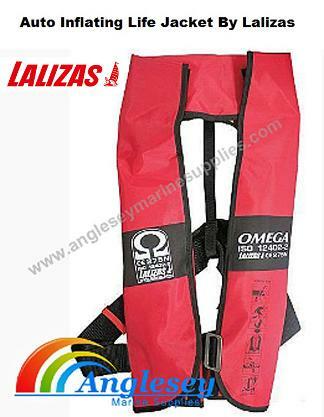 Lalizas Omega 275 newton self inflating life jacket inflatable life preserver, complies to CE ISO 12402-2. 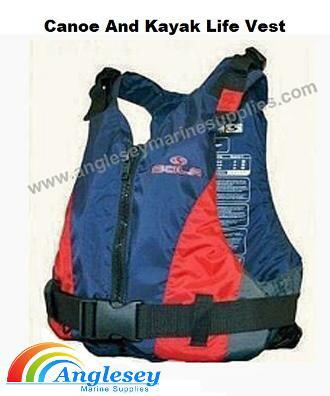 Slim fitting life jacket is fitted with marine grade stainless steel d rings as standard to attach to safety line. 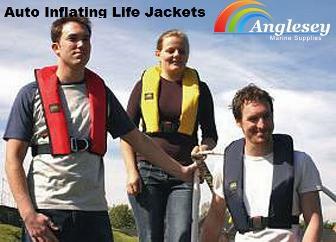 The self inflating life jacket is available in either manual or auto gas, adults and children sizes available. 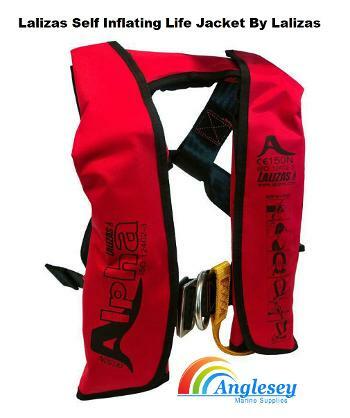 Lalizas 150 newtons self inflating life jacket alpha budget life jacket, life preserver 150 newtons complies to CE ISO12402-3, economical lightweight design, fitted with marine grade stainless steel d rings and safety line. Comes in a choice of sizes plus either manual gas inflation or auto inflating. Adult and childs size available. Complete horseshoe lifebuoy kit, comprising of a horsehoe lifebuoy, solas light, and a 30 metre length of rope. 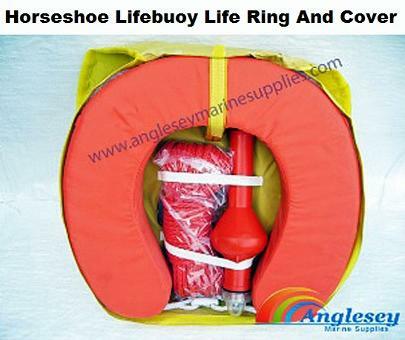 The horseshoe lifebuoy and cover is all contained in a watertight case with external fasteners to attach to boat rails or pulpits. A must for marine safety and piece of mind when sailing. Quality horseshoe life ring and cover. 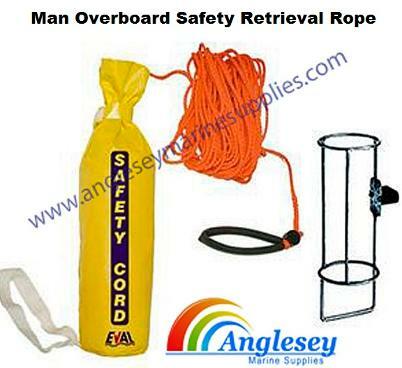 A 25 metre boat man overboard safety retrieval rope line stored in a bag. Both ends of the safety retrieval rope have special handles to allow easy rescue for both rescuer and victim. Can easily be thrown long distances. A must for marine boat safety and piece of mind. Boat emergency automatic strobe light for boats, yachts operates as soon as immersed in sea or fresh water. 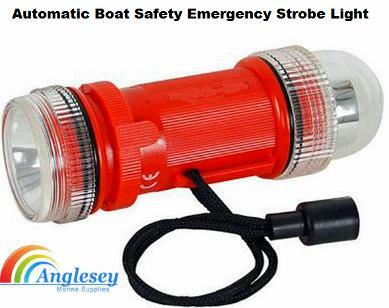 A good safety device to have if boating, sailing etc at night or in bad weather. Will enable you to be seen in an emergency. 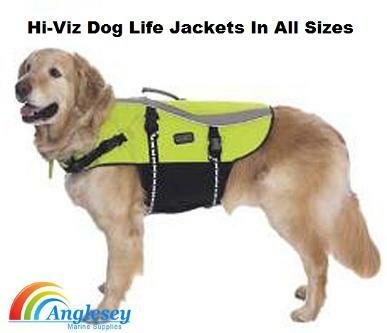 Dog Life Jacket buoyancy aid in hi-vis yellow. Safety for your pet. Please use drop down menu for purchase options and sizes. Dog Life Jacket Buoyancy Aid in polka dot red. Safety for your pet. Please use drop down menu for purchase options and sizes.